Born from necessity to service the existing and valued customers of the Acromark and Screentech brands, NuDec, LLC was created. Taking the combined experience of nearly 100 years in the business of building decorating machinery and automation systems, NuDec has set out to exceed the industry standard of customer service while solving our current and prospective customers' decorating and assembly needs regardless of their simplicities or complexities. At NuDec, we consider ourselves an extension to the customers and companies we work with. To do so, we work closely with both local and national suppliers to stay on the cutting edge of manufacturing, and to provide all requisite components such as foils, transfers, Therimage labels, iMIG labels, and in-house manufactured tooling and fixtures to ensure our customers a truly turn-key product. We also partner with firms that supply pad-print, laser etching, impact markers, serializing units, vibratory feeders, conveyors and robotic systems which can all be incorporated into semi-automatic and fully automatic work cells. Our completely customizable equipment ranges from table top hot stamping and silk screening machinery to fully automated systems with options for remote monitoring, part orientation and alignment, vision systems, assembly, auto-loading and off-loading, and packing. The possibilities are truly endless and no project is too small or too large. At NuDec, we understand that our customers are often working within budget constraints. Our team can and will make every effort to help our customers stay within budget by rebuilding existing salvageable systems of both our brands and those of our competitors, offering free consulting services on any project our machinery is purchased for, and also, by extending preferred rates through third party financing companies. 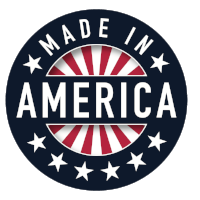 Our family of employees stands proud behind our American made brand and will do all that we can to insure a guarantee of satisfaction including free technical support via telecommunication for the life of your machine and offering both in-house and on-site training, installation and service. We invite you to contact our office to discuss your project's needs and for equipment-specific pricing. We at NuDec, LLC know that finding the right product that meets your business needs can sometimes pose a challenge; we will happily offer complimentary consultation to discuss your company's specifications within your budget constraints.